In a small mixing bowl, whisk together the first 8 ingredients, seasoning it with salt. Spread 1 tablespoon of the mayonnaise mixture onto each cut side of your choice of bread. Take a large mixing bowl and add to it the chicken, mint, carrot and remaining mayonnaise mixture, stirring to combine (we seasoned this with more salt at this point). 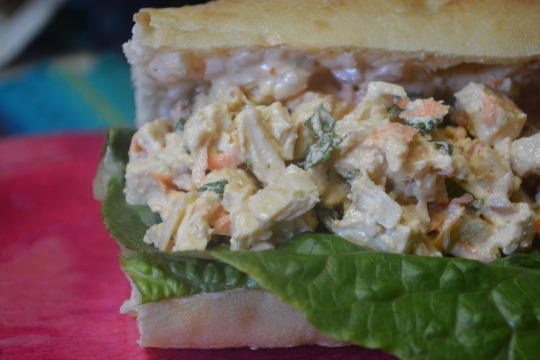 Serve the chicken salad on the bread along with the romaine. *If you’re using a baguette, cut it into 4 pieces, cutting each piece in half. 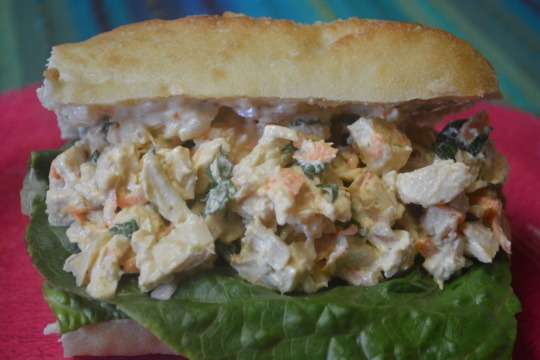 Scoop out some of the center soft bread where you’ll be placing the chicken salad (we forgot to scoop out the bread but the sandwich still turned out just fine). The flavors of this are more on the subtle side but you can still taste the fish sauce and mint. The crunch from the lettuce is a nice contrast against the tender chicken. 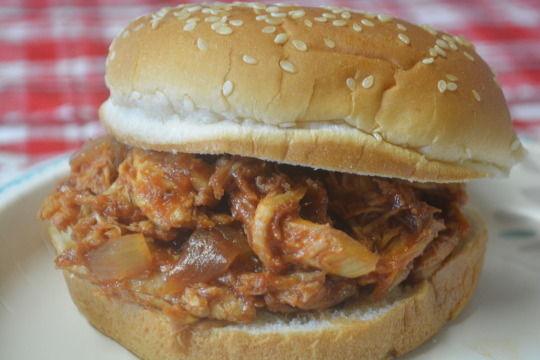 This would be a great picnic sandwich ! We got this recipe from Cuisine at Home. We weren’t paid in any form to promote Cuisine at Home. Preheat your oven to 325 degrees. Take a medium-sized bowl out and mix all the sauce ingredients together in it. Take a 2-quart casserole dish out and place the chicken in it. Pour the sauce over the chicken, tossing to coat. Place in the oven to cook for 1 ½ to 2 hours, stirring occasionally. Serve on the buns. This is such an easy dish to make ! 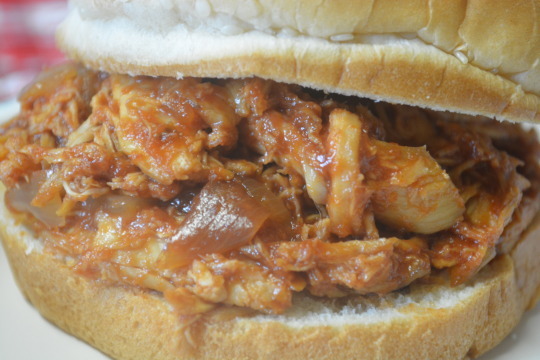 The sauce is sweet and tangy and the onions still have a little crunch to them which is a nice contrast to the tender chicken.